Sorry for the lack of updates lately but there hasn't really been much to see and post about. 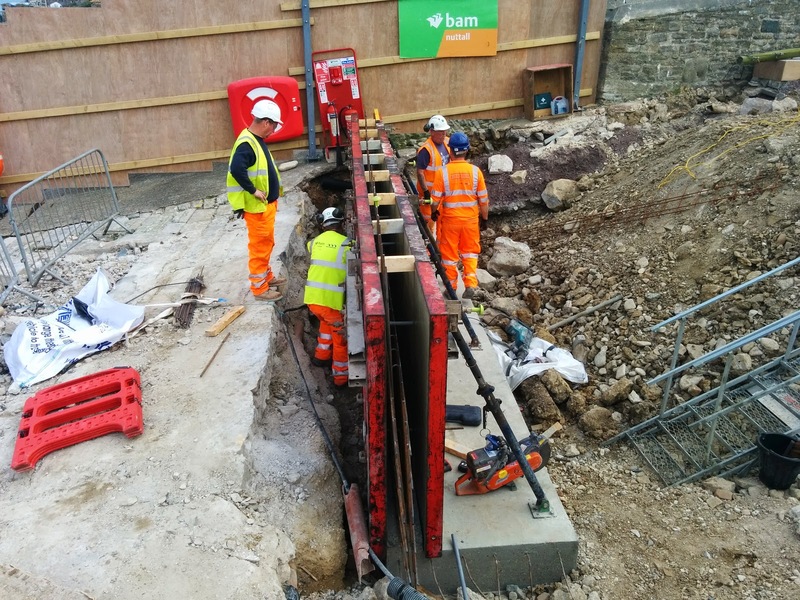 A lot of work has been going on in the ground getting things to the correct level, sorting out drainage, underpinning walls and generally preparing the site. However things are now starting to be built. 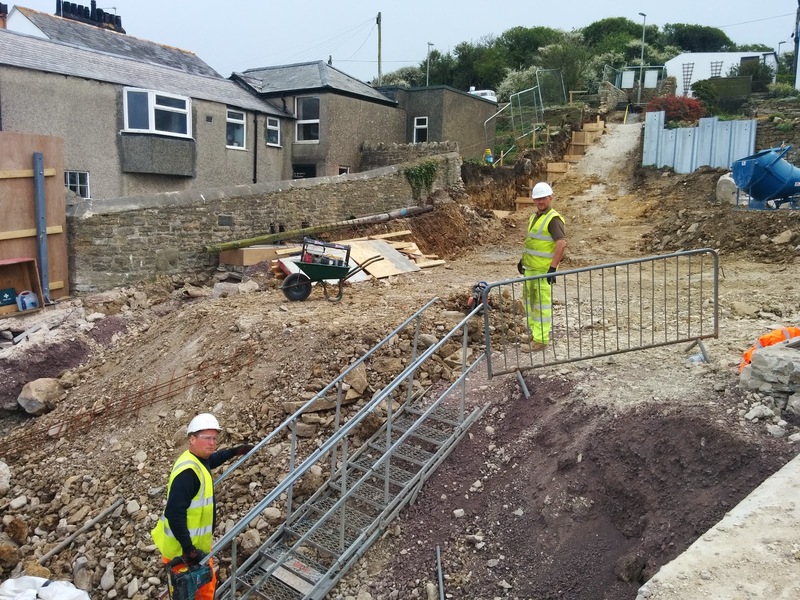 This will eventually become the sea wall outside the front doors of the lifeboat station. This is the area where the boathouse used to be. 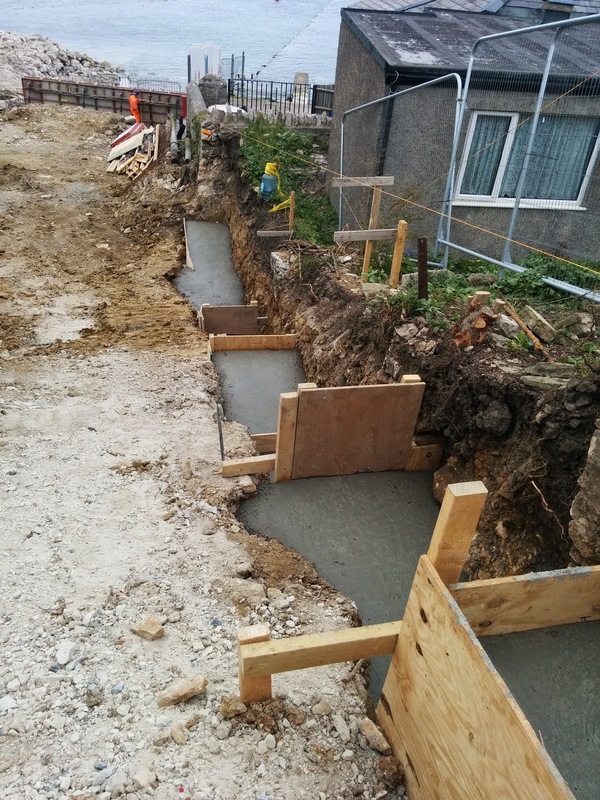 The ground level still needs to be reduced a little before the new floor slab is cast. This is the area that was behind the boathouse. 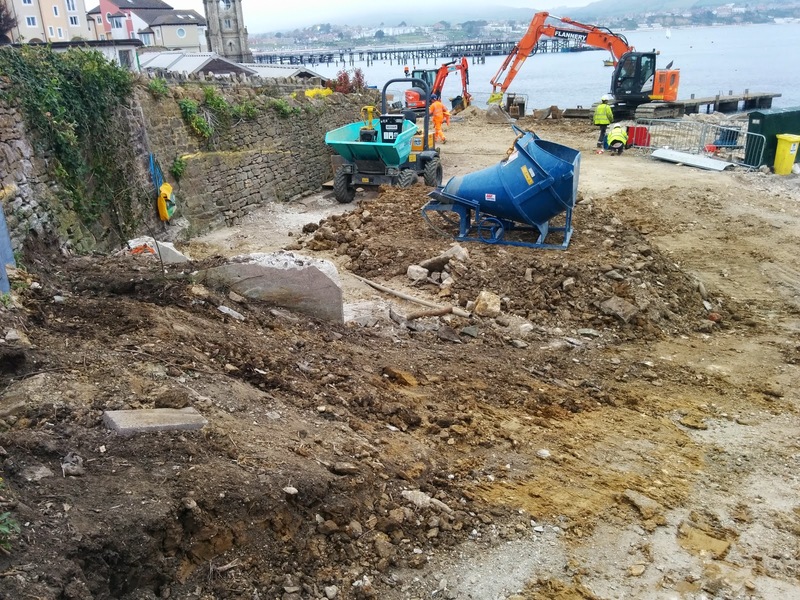 A lot of work has been done here (and still some to do) stabilising the walls so that the footings for the new boathouse can be dug. This is the view down where the steps used to be to the back of the boathouse. They've been removed and will be replaced in due course. Ducts have been laid underneath ready for water pipes, electricity cables etc. The wall on the right hand-side will be renewed as it was in poor condition. Look out for more updates as more things start to come out of the ground. 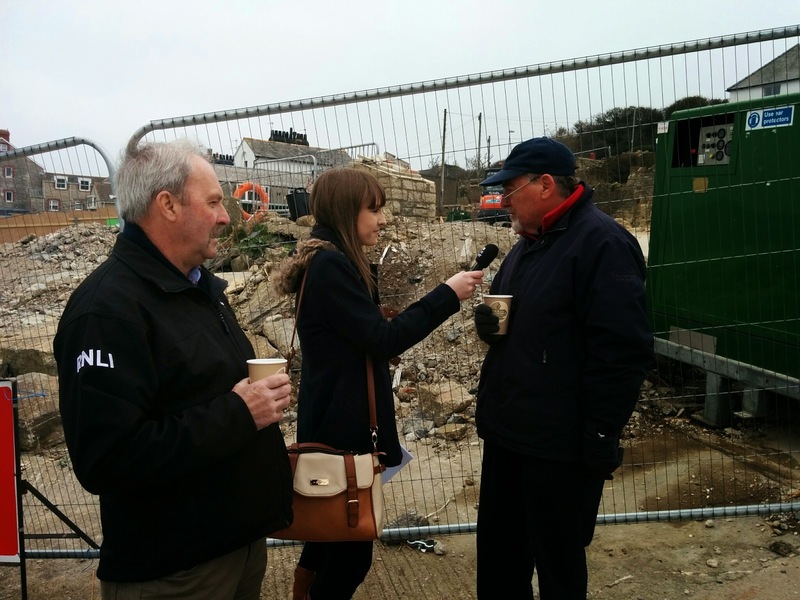 A little while ago our Chairman, Peter Foster and our LOM, Neil Hardy recorded a radio interview with BBC Radio Solent. The interview is about all the work going on at the station and some of the stories behind the fundraising and the legacies that helped to pay for it. It will be broadcast at around 07:50am tomorrow, Tuesday 7th April on 103.8 FM so tune in and have a listen.